Two Kensington sofas fitted together at 123 degrees angle. 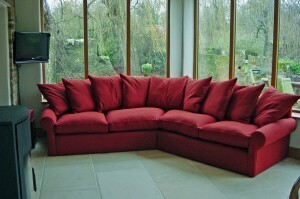 Size per sofa: Length 196cm x 100cm deep. Fabric: Romo Linara FR Harissa.